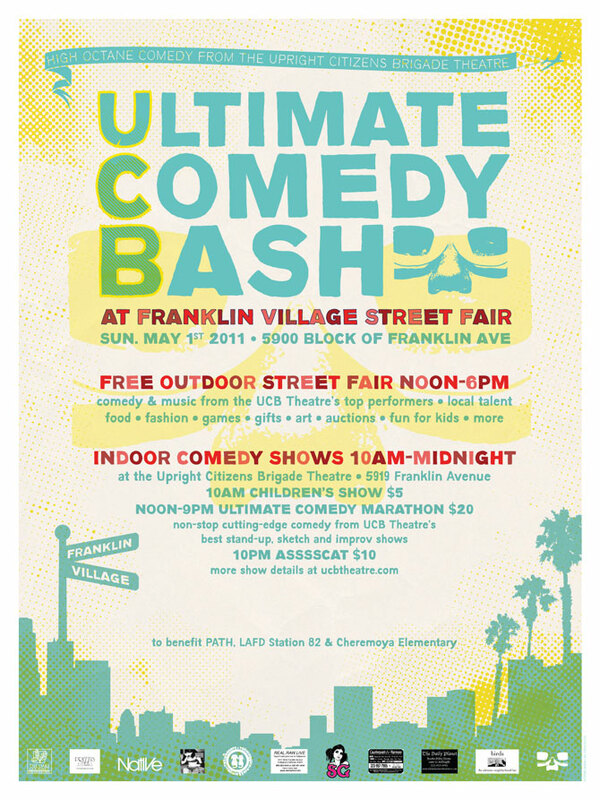 Full scale collateral for the 2011 Ultimate Comedy Bash, a festival created and hosted by the UCB (Amy Poehler, Matt Besser, Ian Roberts, Matt Walsh). 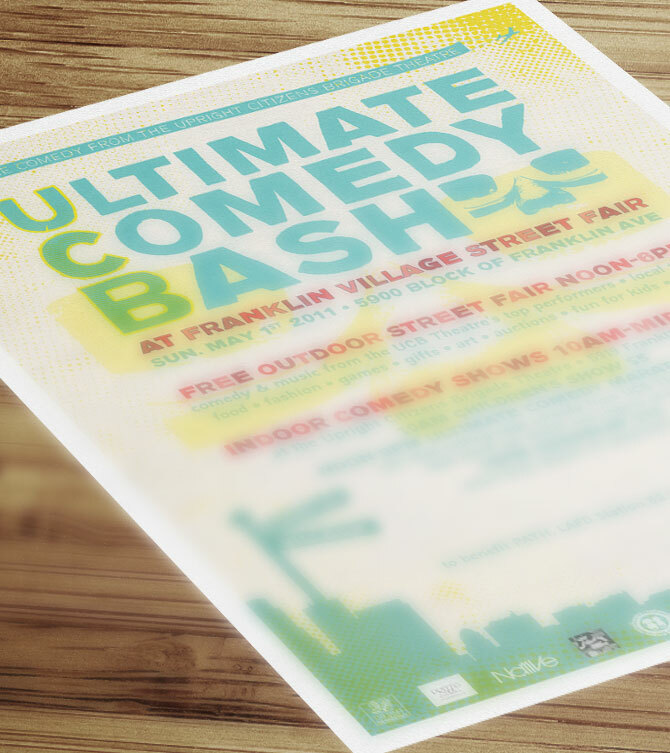 The UCB wanted the design to communicate the level of professionalism and huge comedy events over the weekend while retaining the edgy, Fugazi-inspired aesthetic that has been a part of their theater since it’s founding. Collateral included various poster sizes, fliers, postcards, web advertisements, magazine and newspaper ads as well as tickets and VIP passes.